In Max Tilt: Fire the Depths, Max’s great-great-great grandfather happens to be Jules Verne. When Max discovers Jules’ unpublished manuscript contains a key to a valuable treasure, it’s a race against time and foes. (Lerangis, Peter) Peter Lerangis is the author of more than one hundred and seventy books, which have sold more than six million copies and been translated into thirty-three different languages. 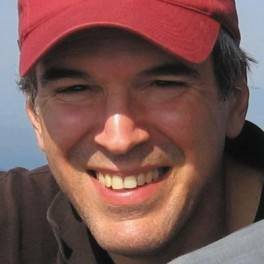 Nine of his books have been New York Times bestsellers, including all five titles in the Seven Wonders series: The Colossus Rises, Lost in Babylon, The Tomb of Shadows, The Curse of the King, and The Legend of the Rift; and several books in the 39 Clues series. 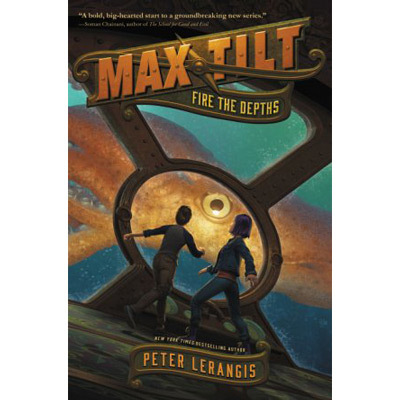 Max Tilt: Fire the Depths (HarperCollins) is Lerangis’s first installment of the Max Tilt trilogy. When thirteen-year-old Max Tilt and his cousin Alex happen upon his great-great-great-grandfather Jules Verne's unfinished, unpublished manuscript, The Lost Treasures, they realize that the book holds the key to something incredibly valuable. A treasure that can save his house — and maybe his entire family.